If you're not thrilled with your resume, it may be time to get a second -- and even a third -- opinion. 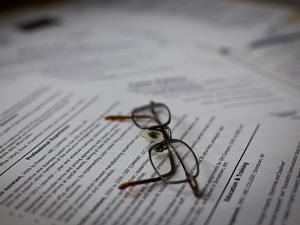 Constructive advice from multiple professionals can help you turn a ho-hum resume into a powerful self-marketing tool. Greg Hanlon, former GE Six Sigma Master Black Belt and most recently chief operating officer of Resun Corp., suggests applying Andrew Carnegie's mastermind management principle to the resume-development process. "Carnegie solved challenging problems by soliciting input from the best and brightest across different professions,” explains Hanlon. “A resume review by several professionals is similar in that each reviewer brings a unique blend of talent, experience and insight that will make the resume stronger." Sherri Thomas, executive director of career-management firm Career Coaching 360 and a former president of the American Marketing Association National Council, agrees. "If you ask several professionals to review your resume, you can gain a variety of perspectives about the quality of your document," she says. So how do you get the right people to look at your resume and balance the various bits of feedback you receive to make this crucial document the best it can be? Read on. One of the potential pitfalls of asking for multiple reviews is that everyone seems to have an opinion about resumes, and you can receive conflicting or even bad advice. David J. Parnell, partner at Manhattan-based attorney search firm Edward Anthony & Steele, says, "I firmly believe that at times there can be 'too many cooks in the kitchen.' However, having the right number of cooks can result in a feast." Experience in the Careers Industry: Resume writers, recruiters, placement professionals, staffing specialists and career coaches are good sources of resume feedback. Seek certified resume writers, because they have demonstrated proficiency in resume writing and keep up with changes in the industry. Industry Hiring Managers: HR professionals and managers in your desired field can provide valuable feedback. Find out what they look for -- and what turns them off -- when they recruit within your industry. If more than one professional is recommending the same changes, chances are you should accept the feedback and make the suggested adjustments. "Developing a resume is like putting together a jigsaw puzzle -- it takes time, focus and revisions,” Thomas says. “The end result should be a resume that accurately reflects a job seeker's professional strengths, accomplishments and areas of expertise." Hanlon advises job seekers to be selective about feedback received: "If you are not sure if you should use someone’s input, stick with your intuition; hesitation probably means it is not the right advice for your situation."